Without reliable communication channels, a business is destined to fail. It doesn’t matter what kind of business you run or who your target market is – if you can’t communicate effectively the company is going to struggle. Even though business leaders acknowledge this, communication systems are often an afterthought. Systems will get set up and never updated or improved once they’re in place. Businesses that don’t keep up-to-date with the latest technology are missing out, and it usually costs them money. Whether it’s written or verbal, it’s essential that managers and business owners understand why communication is critical to their success. Many businesses have fallen into the trap of thinking that their website can handle the majority of their customers. It’s important to have a well-made website that communicates value and provides customers with the ability to purchase, but it’s not your best tool for increasing revenue. New phone technology from cloud-based systems has provided interesting insights for the businesses that use them. The most important discovery is how much more valuable callers are than website visitors. One recent study found that callers convert at a rate of 30-50%. Website visitors convert at a rate of just 1-2%. If you miss a call, there’s a good chance you missed a sale. If your communication system is complicated, there’s a good chance you missed a sale. If you don’t provide customers with the means to call you, you’ve definitely missed out on a lot of sales. The same report mentioned above found that 75% of calls to businesses are being made on mobile devices. Mobile device use has dramatically increased the number of calls that are being received, and since these devices aren’t going anywhere the trend is expected to continue. VoIP systems are now more efficient and affordable, which is why more businesses are beginning to utilize cloud-based calling. These systems don’t require landlines, can route calls to mobile phones and can provide valuable data on your callers. A customer relationship management system (CRM) is also extremely valuable for lead-driven businesses, though any type of business can benefit from implementing one. A CRM can be linked to your website to send real-time alerts whenever you receive an Internet lead. Given that 71% of Internet leads are wasted because there’s no follow-up communication, a CRM can easily pay for itself. Another benefit of a CRM is that you can create email drip campaigns and keep updated information on customers that can be accessed by anyone at your company. Miscommunication costs businesses money – period. If people aren’t on the same page, balls are going to get dropped, tasks will take longer to complete and confusion is going to cause mistakes. According to a 2014 About.com survey communication issues are employees’ three biggest complaints for these very reasons. · Cloud-Based Phone System – This type of phone system is particularly useful if your employees work remotely or at various offices because everyone can be kept on the same phone system. · Online Project Management Service – Basecamp is probably the most well known project management tool on the market, but there are plenty of others to test out. · Internal Social Media Network With Chat Options – Providers like Yammer let businesses create their own social media network that can be used to communicate and collaborate on projects. Taking the time to analyze where communication is failing within your organization will help determine which solution will work best. You may be surprised to find that simply limiting the communication channels and providing employees with guidelines will solve the majority of the problems. Businesses count on other businesses in order to grow. All of your supplies are provided by another business. The services mentioned above come from working with another business. 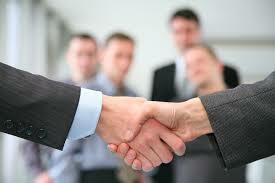 And partnerships can provide the capital and/or support needed to take your business into a new market. Your B2B communication is all about professionalism. Time is money for your vendors and business partners. They need to be able to get a hold of you, and follow up needs to be quick. If not, you risk burning bridges that could cut off your profits. That said, being personal can also pay off. Having in-person and phone conversations will help build bonds more quickly and make them stronger. Every facet of your business requires clear communication. When you invest in communicating more effectively productivity and conversions will naturally follow.